Customer Understanding: The Key to Insight-Driven Experience Design | Constellation Research Inc. In today’s business environment, every company, regardless of industry, faces potentially disruptive new competitors. These pressures have shifted attention from internal operational efficiency to an external, customer-centric view of engagement and effectiveness. Focus on customers and how best to serve them determines success or failure. For most companies of any significant size, however, this simple principle is far from easy. To make matters worse, the ever-expanding array of technology tools that promise to improve customer engagement have often done anything but. This combined with deep silos between marketing, sales and customer service is harming customer relationships rather than helping them. With digital transformation now a top priority for chief executives, companies must build a consistent and cohesive picture of the customer across all departments. It’s time to put customers at the center of business transformation. And this time, to do it right. 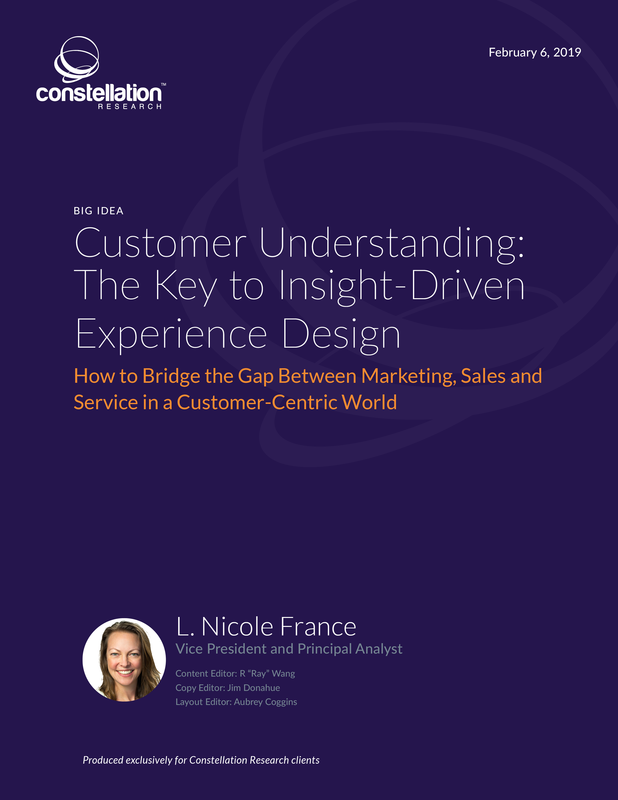 This report discusses the key characteristics of customer understanding and introduces the concept of insight-driven experience design (IXD).